When we left my dock today, we headed south of Everglade City and found a nice school of redfish that couldn’t resist a live shrimp under a popping cork for bait . I still have one day open between Christmas and New Years. Don’t miss out on the action! Give a call today to book your next trip. 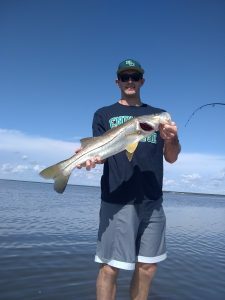 E With the water temperature dropping this week after the last cold front that had just passed though, the trout and pompano have been on the bite! 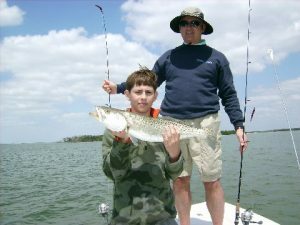 We caught this big trout and several more, using riptide jigs for bait . 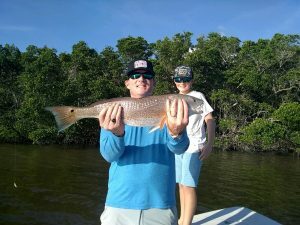 December is a great month for fishing in the Everglades! Don’t miss out on the action! Give me a call today to book your next trip. This weeks fishing was great! 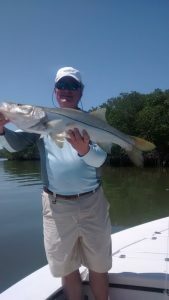 We caught snook, redfish, trout and triple tail, using live pilchards for bait . 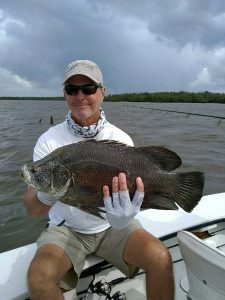 With the weather starting cool off, the fishing should remain excellent, providing us with some great action! Don’t miss out! Give me a call today to book your next trip.